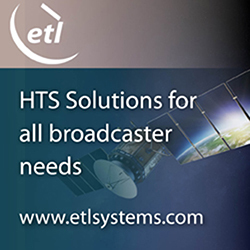 WORK Microwave has partnered with the Technical University of Munich (TUM), Institute of Astronautics, to conduct a comprehensive field test on DVB-S2X and Adaptive Coding and Modulation (ACM) technologies. The main purpose of the field test was to prove that DVB-S2X modems with built-in ACM technology significantly increase data throughput and service availability in any weather environment. The field test was also embedded into the CopKa research project environment. Due to the impact of rain fade and harsh weather conditions at higher transmission frequencies, ACM technology is a must within state-of-the-art Ka-band systems. During the field test, TUM deployed WORK Microwave's AX-60 DVB-S2X and SK-IP DVB-S2 modems on the same satellite link and transponder to directly compare the performance of legacy and next-generation technologies. For the given link budget, ModCods of up to 256APSK could be used. Throughout the test, regular weather circumstances and rain fade events occurred. 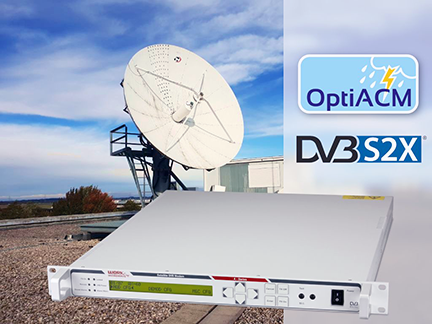 The DVB-S2X technology showed an advantage for both clear sky conditions and rain fade events. TUM found that the overall data rate, even with rain fade, is higher with DVB-S2X than DVB-S2 equipment since DVB-S2X supports higher modulation schemes of up to 256APSK. WORK Microwave's AX-60 modem supports the DVB-S2X standard and advanced features such as higher modulation schemes, a finer granularity of ModCods, and cutting-edge filtering. ACM technology within the modem optimizes data throughput according to the current link situation and receiving conditions (e.g., rain events). As a result, use of the transponder resources and the system capacity increases. Dr. Jürgen Letschnik, lecturer at Technical University of Munich, noted that high-capacity technology operating in the Ka-band offers major advantages over conventional satellite networks operating in Ku-band and lower frequencies, such as increased bandwidth and higher gain. Yet, diverse weather conditions have a greater impact in the Ka-band than at lower frequencies. With appropriate planning and implementation of well-designed ground equipment, there are ways to mitigate adverse weather effects. During this test, WORK Microwave's DVB-S2X modems were proven to be an effective solution. Tobias Rutz, lead systems engineer, digital products, at WORK Microwave, said that the company has partnered with TUM on numerous research projects and field tests over the years and the company is excited to continue working with one of the largest and most notable German institutes of technology. Based on the results of the field test, DVB-S2X modems featuring ACM technology are the most beneficial for operators in IP trunking and IP network infrastructure applications.